This entry was posted in Poems and tagged National Poetry Month, Poems, poetry. Bookmark the permalink. ← Perfect Picture Book Friday: Bullfrog Pops! How generous of you to create the resource page!! I was part of the progressive poem with you – I loved your line! Thanks for coming by, Lori! I’m getting to help with a workshop this summer and this page will help me as I gather resources. Then I hope it will be handy for teachers as they look for resources. Great idea to create a poetry resource for teachers/kids. What a great month! Thanks, Patricia. I am going to link to some great poetry sites! I imagine you will be familiar with them, but I thought it would be handy for teachers to have the links to them gathered on one page. “Feed your soul with wine and dreams” YES! We need more poetry resources for kids/teachers/caregivers… so glad you will be adding your knowledge and expertise to creating more resources, Penny! Actually, I going to be gathering expertise! 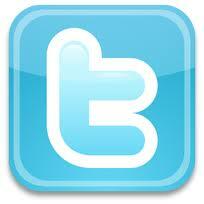 I will add links to the page to visit blogs for resources! Thanks for coming by Joanna! Thanks for dropping in and adding some rhythm today, Pam! I see that Laura is doing her video poetry prompts. What I want to do is link to her site and others to bring resources together for teachers. Being a teacher, I know how long it takes to search the Internet and find jewels like Laura’s site, Amy Ludwig VanDerwater’s site, Renee LaTulippe’s site and fun things like March Madness. I think having these on a resource page will help. I’m helping with a poetry workshop in July and thought this would be easiest for teachers. 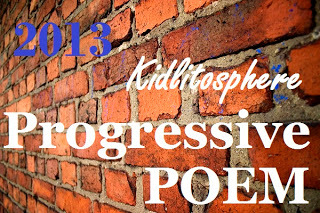 PS I am going to be part of the Progressive Poem this year thanks to Irene letting me be a guest blogger!!! Can’t wait. I dabble and drift, and love to read what my favorite bloggers are doing. It is really inspiring, but hard to keep up with. Hi Catherine!!! This is a NOT TO MISS blog for April, Penny!!! I am glad you are putting this together. I am sharing at the IRA Poetry Olio and am going to put this one front and center because you are gathering so many great resources in one place. My blog is coming…..slow but sure. I hope our paths cross in person some day soon!! I think we should plan some kind of Poetry Friday party/conference/gathering. Wouldn’t it be something to have so many great poetry folks all in one spot? That would be great fun! I am helping with a poetry workshop this July. We are helping teachers with resources and ideas for teaching poetry. I thought about a printout, but those so often get stuck in drawers, so i thought a page on my blog would be handy. We’ll see how it comes together. Yes…and I’m looking forward to this year to see where the words take us!